If you want to stay hydrated in style then you should check out this Harry Potter Quidditch water bottle. The water bottle is made by SIGG and comes in a wide range of colors and it comes in different sizes too. The water bottle shows a cartoon version of Harry Potter on his broom when playing Quidditch. 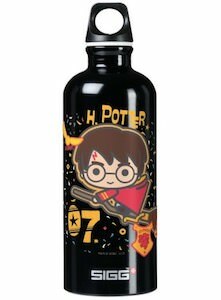 A fun bottle like this is a great thing to have if you are a Harry Potter fan as it cute and a great way to take water where ever you go and that means you need less plastic water bottles. The Harry Potter metal water bottle is made from aluminium making it light weight and just perfect for your everyday bottle. 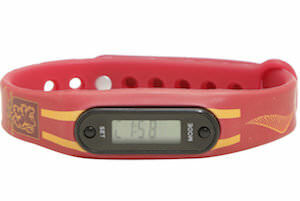 Now you will know when the Quidditch game starts because this is a Gryffindor Quidditch watch and step counter. 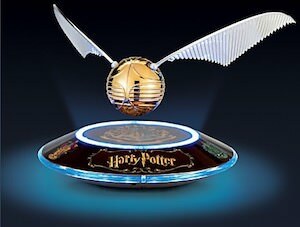 Harry Potter fans all over the world are going to want this amazing product. 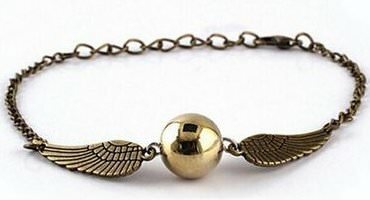 The bracelet is red with on it the Gryffindor logo and in yellow the golden snitch that we need for a good game of Quidditch. The red and yellow are great colors for the band and then in the middle a black watch that tells hours and minutes and the steps you take. No longer do you have to wonder how many steps you did because this Harry Potter watch will tell it you when you want to know. Now there is a Harry Potter shirt for women that support Hufflepuff in the Quidditch cup at Hogwarts. The long sleeve shirt has raglan style sleeves that are black with yellow stripes. 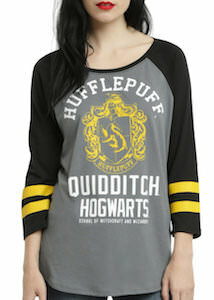 The body of the top is light grey with on it the crest of Hufflepuf and the house name above it and below it the text “Quidditch Hogwarts”. And the shirt looks like a sports jersey so maybe people will think you are one of the Quidditch players. You can get this Hufflepuff shirt in women’s junior sizes XSmall – 3XL and all are made from 50% cotton and 50% polyester. 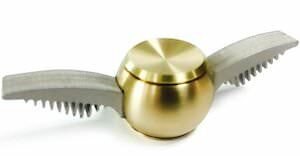 If you like Harry Potter then you just need to add this Quidditch set to you collection. No this is not the real Quidditch set as used by Harry in the movies but it is a replica of it and it looks just amazing and extremely detailed. 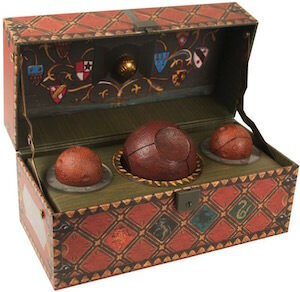 The box has 1 Quaffle, 2 Kludgers, 1 non-removable Snitch inside it and of course it has a lock because you don’t want to loose any part of your Quidditch set. And they even added a 16 x 24 inch poster inside the trunk. Unfortunately you can’t play Quidditch with this set but it will look amazing on a shelve in your home together with other Harry Potter collectibles you already own. On these all black lounge pants you will see colorful images of Harry Potter related items like his glasses and you will also see many other Quidditch related items like Snitches, Bludgers, and Beater’s bats all over front to back looking pretty cool. The pants also feature a yellow tie string to keep snug along with an elastic waist band, there is two side pockets adding to the comfort and ease of wearing. Available in a huge selection of adult sizes that range from Small to 3XL giving everyone a chance to show off their Quidditch side, made from 100% cotton so you know these lounge pants will be nice and soft to wear while also being very durable to last you many lounge nights and days. Always wanted to be part of a Quidditch team? You seem to be in luck because you can now get your own Harry Potter t-shirt that is all about Quiddtich. 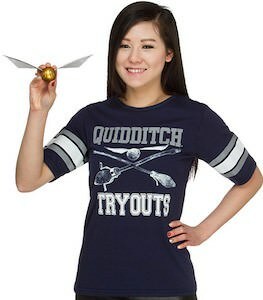 This blue women’s t-shirt has grey and white stripes on the sleeves and on the front you can see two brooms crossed over each other and a snitch above that and then there is the text “Quidditch Tryouts” on the t-shirt. All the ladies that like Harry Potter are gone love this shirt and can get one in sizes Small – 2XL. So if you like Quidditch as much as Harry does then come get your Harry Potter Quidditch Tryouts T-Shirt.